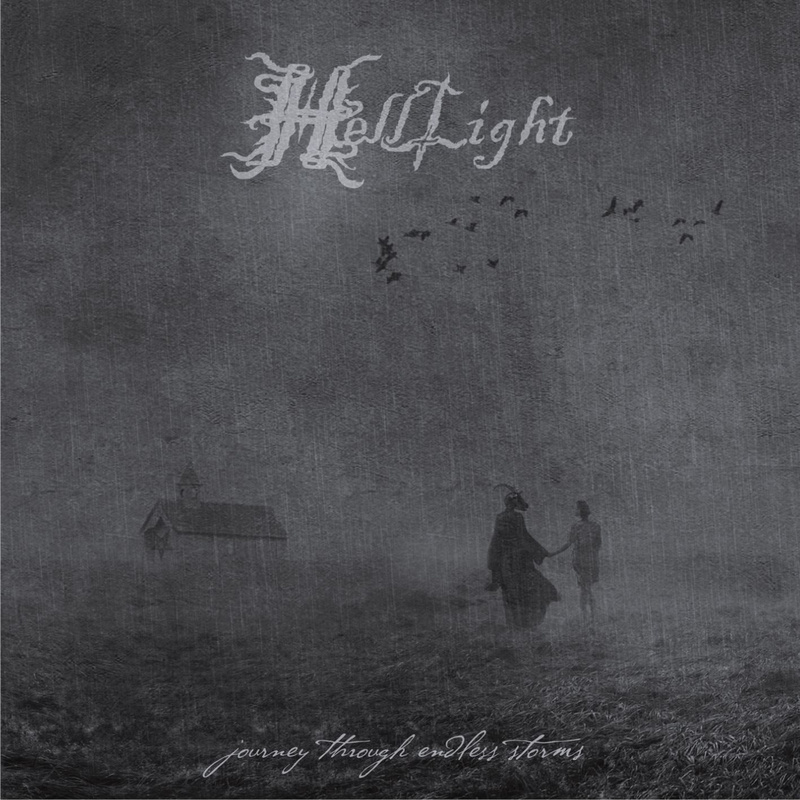 With a run-time to fill a CD's capacity right up to the brim, and each of the first four songs rolling past the ten-minute mark, this latest album from the Brazilian funeral doom specialists of HellLight wears its immensity for all to see from the start. An emphasis on clear melodies and rising grandeur over the course of each song strengthens the band's melancholic majesty, as does the occasional use of harmonized vocals for the drawn-out deliveries of despairing verses. While they mostly rely on reverberant bass chords for setting the mood, there's a vaguely pagan twist to the melodies that puts me in mind of a mist-shrouded forest, as though the band trucked their gear and a generator out into the wilderness to get just the right vibe for recording. There is some floweriness to the music at times, but it's not used to a point of obscuring the music's essential drive. Some may find the music going on too long for their tastes, but those looking for some sizable funeral doom should get good mileage out of these tracks. A trickle of cosmic doom flavoring comes in towards the end ("Beyond Stars" in particular), bringing battering drum-beats with it, but this gets crushed back into form by the heavy resurgence of slow tempos as things draw to a close. All in all, a very solid release with lots of care put into its creation, and impressive results from the work put in by the band.